Brandpoint There are several health benefits to doing jigsaw puzzles. There's a quiet movement going on, and it doesn't involve apps, data or the latest fad. 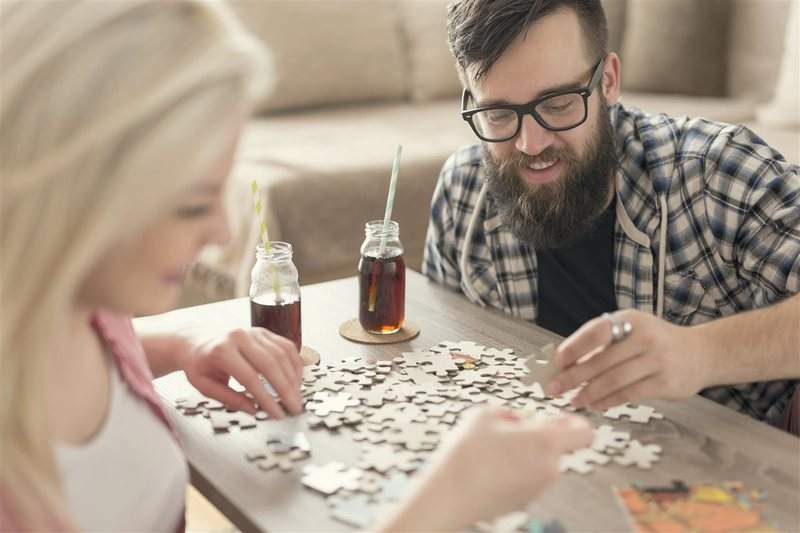 Following the lead of vinyl record albums, coloring books and traditional board games, jigsaw puzzles are seeing a resurgence in popularity. Perhaps, because it's an opportunity to unplug and give yourself and family an escape from the information overload that is buzzing through our lives 24/7. Wrestling the kids (or yourself) away from screens, devices, even the television can be a nearly impossible task, but it's vital to our mental and even physical health. A jigsaw puzzle requires your full attention and therein lies the magic. Everyone from tweens and teens to millennials and overworked parents to seniors are returning to this quiet pastime of childhood. Call it a retro revolution. Conversely, jigsaw puzzles are great for some needed alone time. Puzzling is perfect for people who want a quiet, solo break from the bustle and unrelenting stimulus of today's digital lifestyle. You'll live longer, better if you puzzle regularly. Studies show that people who do jigsaw and crossword puzzles have longer life spans with less chances of developing Alzheimer's disease, memory loss or dementia. Puzzling stimulates the brain and actually wards off the plaque that is the marker of Alzheimer's, according to a recent study published in the Archives of Neurology. The study compared brain scans of 75-year-olds with 25-year-olds. The older people who did puzzles regularly had brain scans comparable with the 25-year-olds. Ravensburger, a company that has been making jigsaw puzzles for 134 years, offers 500- and 1,000-piece puzzles at such stores as Target. The company suggests that puzzlers begin with a 500-piece puzzle as they're designed to be a balance of challenge and solvability.